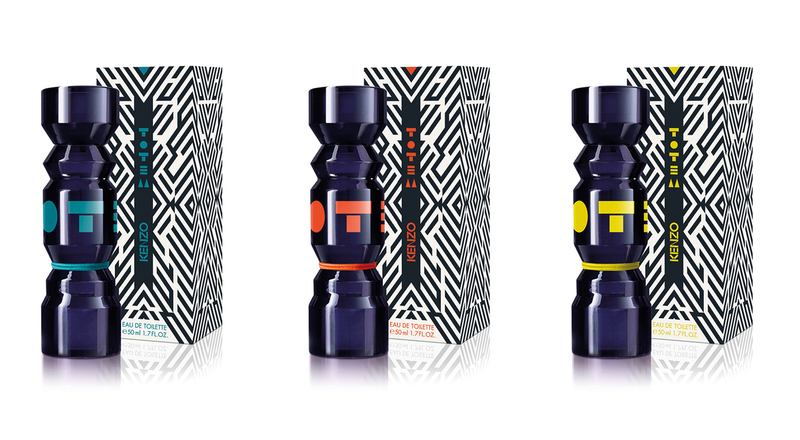 Kenzo Parfums proposes a novel fragrance concept with its new Totem collection. Composed of a trio of universal, unisex fragrances united by a shared name, the collection embodies the values of tolerance and openness Kenzo has always championed. Totem, a name with powerful emotional impact that evokes harmonious ancestral links between nature and human communities. A powerful, mystic symbol that brings together three fragrances with distinctive individual character under a shared identity: Yellow, Orange and Blue. Each unisex expression embodies a facet of the Kenzo tribe, a connected generation born around 2000 that affirms their individuality and creativity and shows complete openness to new cultures and sources of inspiration. Patrick Guedj, artistic director of Kenzo Parfums, called on different perfumers to create the fragrances in the Totem collection. Christophe Raynaud of Firmenich imagined Yellow around pink grapefruit and tea to represent the vitality and softness of embracing the world. Natalie Gracia-Cetto and Olivier Pescheux of Givaudan created Orange with bitter orange and lemon blossoms, expressing the energy of youth. Antoine Lie and Jean Jacques of Takasago brought together pineapple and cardamom for Blue to evoke the avid and candid sensuality of a liberated and confident generation. “This is a pure collective creative action bursting with positive energy and assertive communication,” says Patrick Guedj about the new fragrances. Kenzo Parfums brought together its emblematic tribe to embody the Totem collection. The ad campaign features nine strong personalities with an affirmed style and singular identity who come together in a mystic desert landscape, forming a united group choreographed by Michael Rooney. The bottles, contemporary takes on traditional Native American statues, were done by the Japanese studio Nendo.